ALBANY — Eleven of the country’s 100 women who call themselves and work as Catholic priests will gather in Albany this weekend for the ordination of Mary Theresa Streck into the Association of Roman Catholic Women Priests. Streck, who grew up at a church in Loudonville and joined and left a convent, says Catholocism has been her life-long calling and becoming a priest is a fulfillment of her faith. The ceremony will be performed by a bishop affiliated with the Association of Roman Catholic Women Priests. Bridget Mary Meehan was one of the country’s first women priests and denounces the Vatican’s position that this is not a valid ordination. Tomorrow evening there will be an extraordinary gathering of seven members of the Association of Roman Catholic Women Priests in Albany. 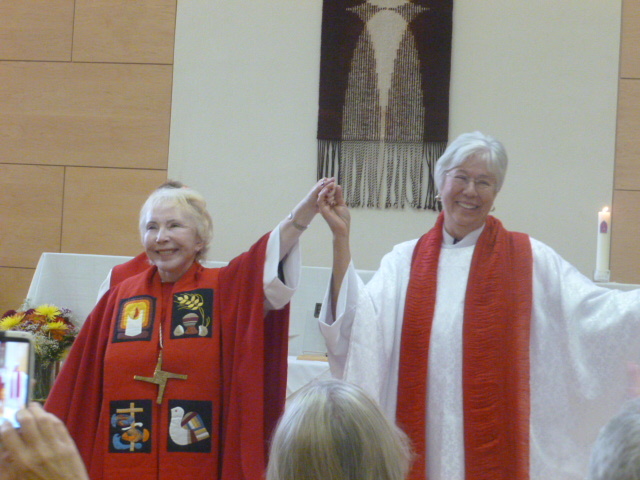 This occasion is prompted by the Ordination of Mary Theresa Streck which will take place on Sunday at 2:30pm at the First Unitarian Universalist Society of Albany. Call To Action of the Capital District is very pleased to host this gathering and invite members and friends and the general public to attend. You may have heard our spot announcements on WAMC. We will gather at 7:00pm at Bethany Reformed Church, 760 New Scotland Ave., Albany, NY. The evening will feature a brief talk by Bridget Mary Meehan, ARCWP Bishop, and allow for conversation and Q&A for all present. Please print the attached document with information about the members of ARCWP who will be present. Welcome Bishop Bridget Mary Meehan to Albany! Open to the Public. For more information call Steve Powers (518) 370-1615.